True FlexTech™: our Kinetic Series defines elegant and functional products for your active lifestyle, and our Flexion™ Sport Exercise Armband is no exception. 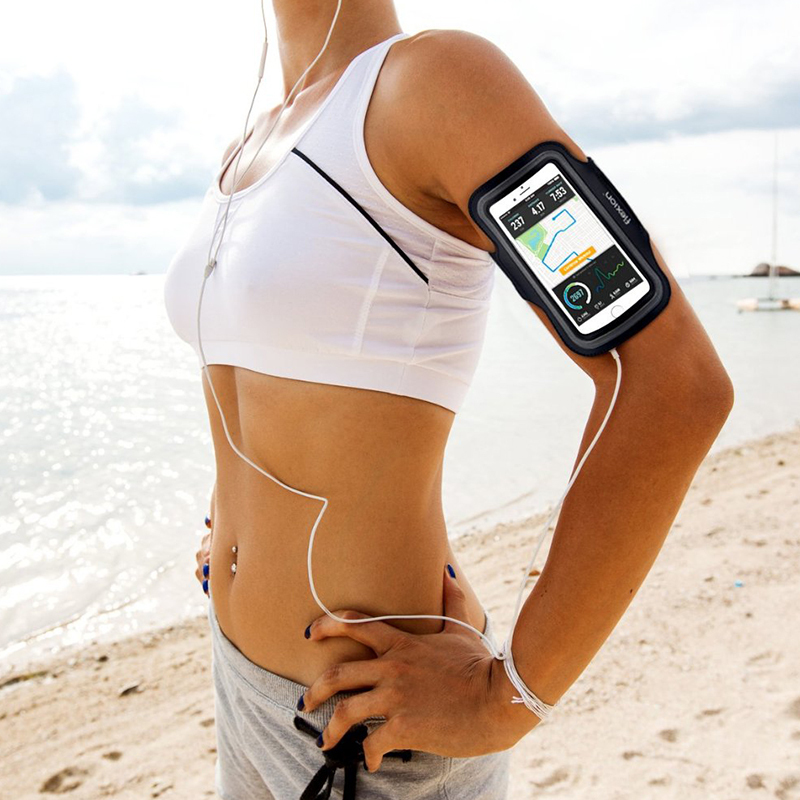 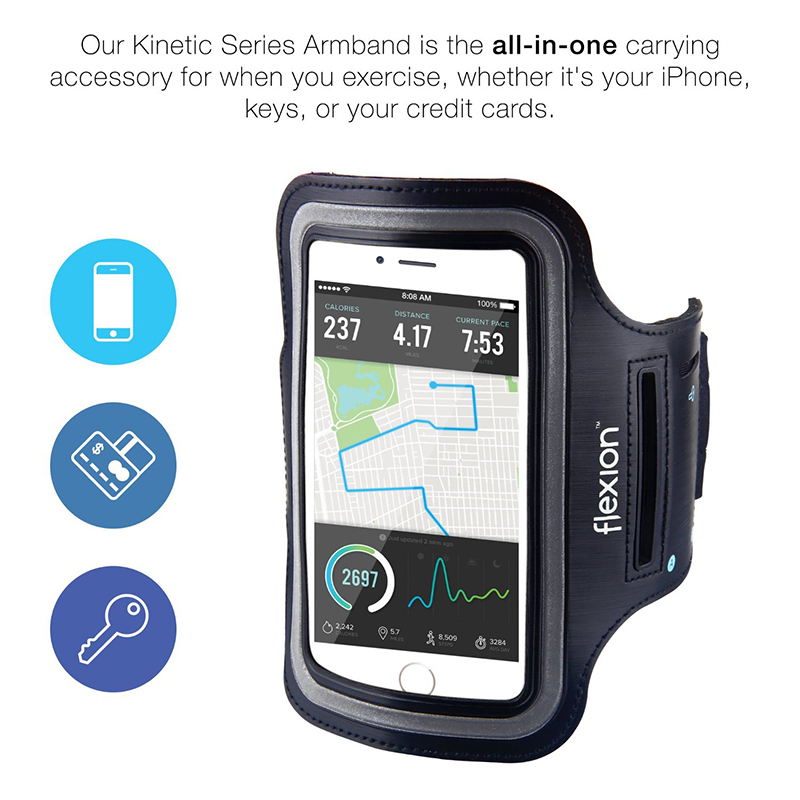 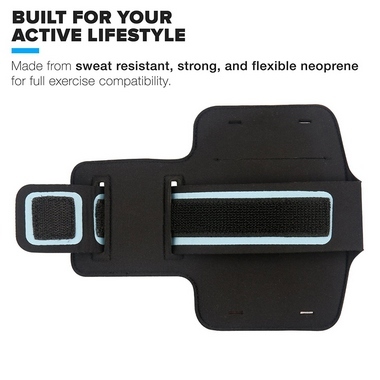 Fully exercise-proof: Made from premium neoprene, our sport exercise armband is the perfect sweat resistant, strong, and flexible all-in-one carrying accessory for your iPhone, cards, and keys. 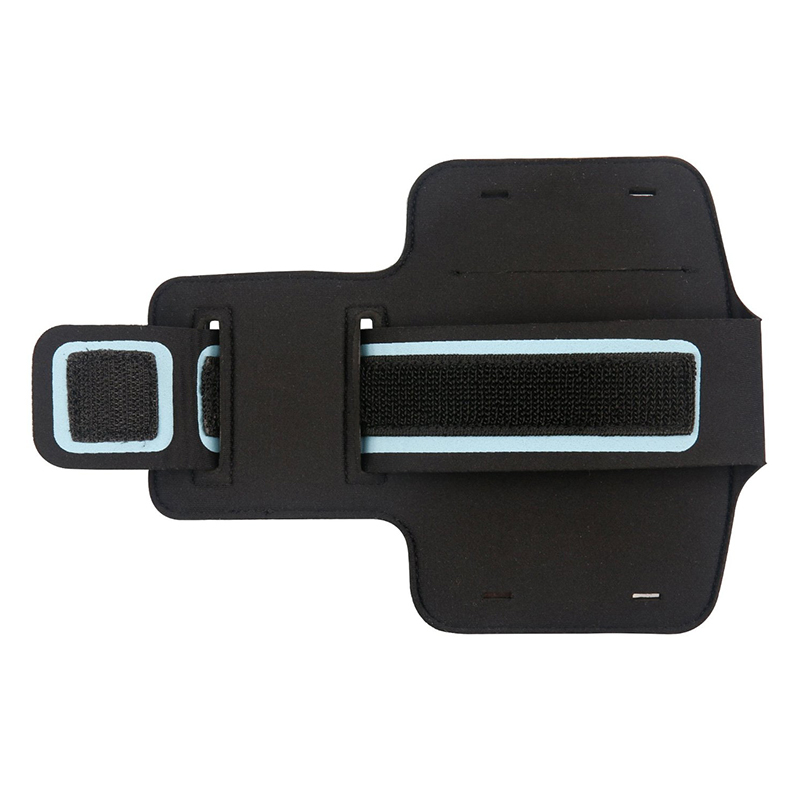 Perfect Fit: Our armband is equipped with a fully adjustable stitched velcro fastener for arms between 9 - 16.5 inches in circumference. 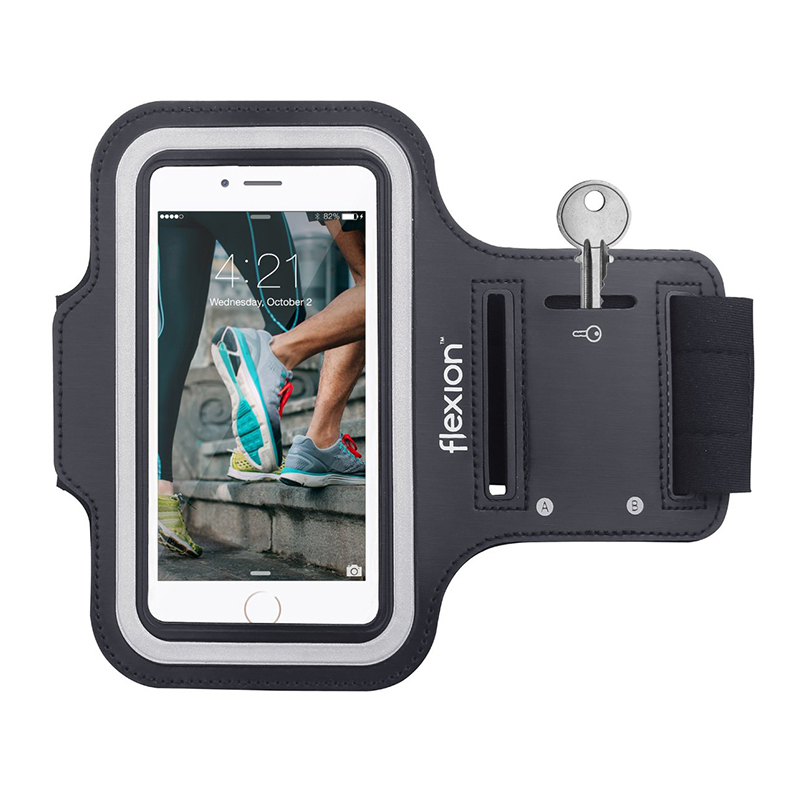 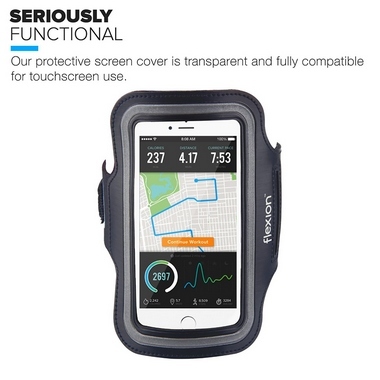 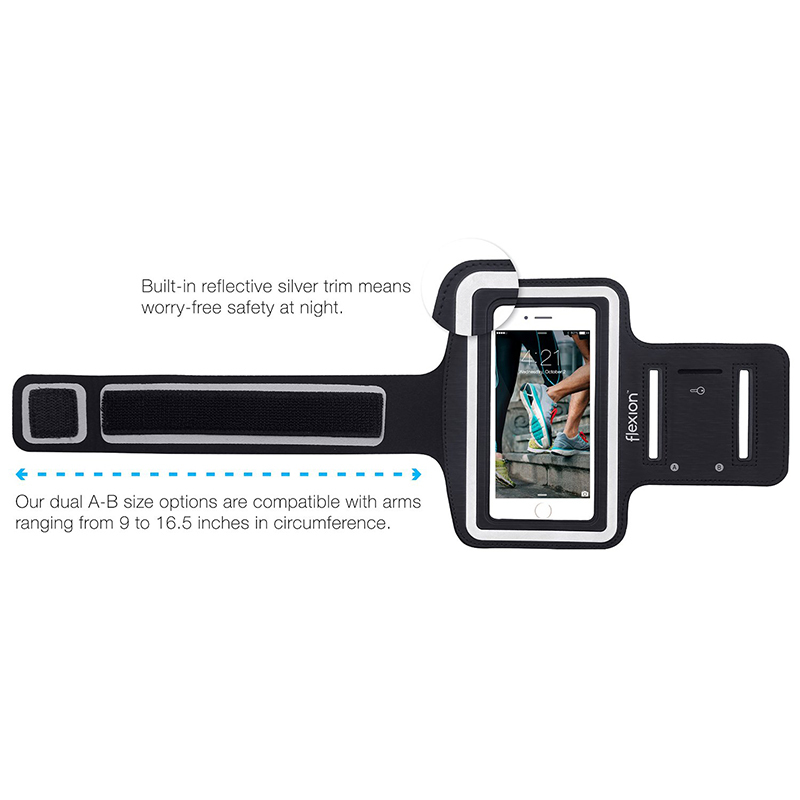 Full Touchscreen Compatibility: Enjoy the full use of your phone through the protective screen cover on the armband, and worry-free safety at night with the built-in reflective silver trim.